Kate Angus is a founding editor of Augury Books. Her poetry and nonfiction have appeared in The Atlantic, Tin House, The Washington Post, Poetry Daily, Verse Daily, The Academy of American Poets' "Poem-a-Day" newsletter, Best New Poets 2010 and Best New Poets 2014. She has received the A Room of Her Own Foundation’s “Orlando” prize, as well as awards from Southeast Review, American Literary Review, and The New York Times’ “Teacher Who Made a Difference” award. 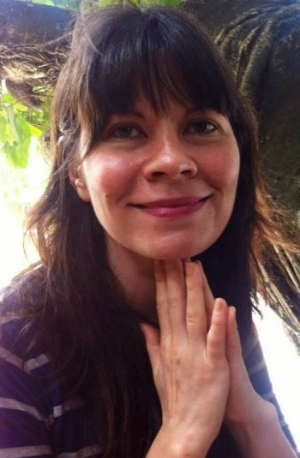 Kate is the Creative Writing Advisory Board Member for the Mayapple Center for Arts and Humanities at Sarah Lawrence College and curates the “Pen and Brush Presents” reading series for the visual and literary arts nonprofit Pen and Brush. She has received residencies from Interlochen Center for the Arts in Michigan; the Elizabeth Kostova Foundation in Sozopol and Sofia, Bulgaria; the Betsy Hotel’s Writer’s Room in South Beach, Florida; the Wildfjords trail in Westfjords, Iceland; and the BAU Institute in Otranto, Italy. Kate has a BA from Brown University, an MFA from The New School University, and has done additional studies at Yale University, Barnard College, Columbia University and Trinity College, Dublin. Born and raised in Michigan, she currently lives in New York.